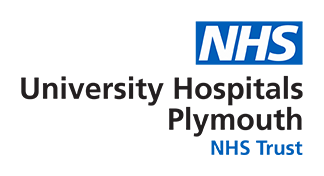 The South West Liver Unit works in unison with the Hepatology Research Group (HRG), an integral part of the Institute of Translational and Stratified Medicine (ITSMed). We utilise state of the art laboratory facilities based in the John Bull Building, and the World class clinical research strengths of Plymouth University Peninsula Schools of Medicine and Dentistry (PUPSMD) and University Hospitals Plymouth NHS Trust (UHPNT). The SWLU team also run several commercially sponsored clinical trials in hepatitis C therapy, non-alcoholic steatohepatitis (NASH), primary biliary cholangitis (PBC), alcohol related liver disease and liver failure amongst others, through the clinical research facilities of The Lind Research Centre at Derriford Hospital. In addition the team perform local clinical research on adrenal insufficiency in advanced cirrhosis. If you would like to be involved in our research please let us know. If possible please print off and complete the below form and either bring it to your next hepatology visit or send it back to us at the address below. Some of our clinical research uses clinical samples (e.g. blood, previous or current liver tissue) and we therefore need to gain your consent to use this material. Below are the information and consent forms regarding this. If you are happy to be involved, please print off, read and sign the consent forms below and either bring them to your next hepatology visit or send them back to us at the address below.